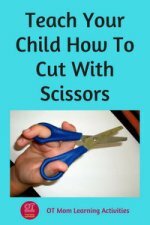 These brilliant scissor cutting activities can help your child to grow in confidence and master cutting with scissors. 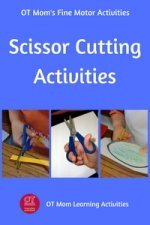 Each of the resources I have chosen provide templates and instructions for scissor cutting activities where your child is making something specific and has a tangible end product! No more mindless cutting where you just end up with a pile of cut-up paper! Clicking on the "add to cart" buttons will take you to their cart where you can complete the transaction. Have fun with their products! I have arranged these e-books more or less in order of challenge. Just click on the quick links to jump to each e-book on this page! Cut and Fold - my top pick of awesome scissor cutting activities! Scissor Activities Bundle Deal! - 30% discount! 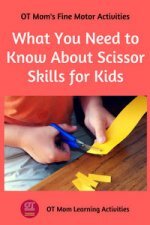 Scissor Skills Info and Tips - get links to the pages on my site where I show you how to teach your child to cut with scissors, and give all kinds of helpful tips and info! 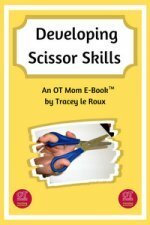 This e-book is designed for beginner cutters who are just getting the hang of scissors. It gives them a good graded challenge with a variety of scissor cutting activities (23 activities total). A few activities towards the end have smaller pieces and triangles to cut as well. There is a mini book template to help your child create his/her own mini book, or use the carnival theme one that they provide. Some of the pages have color backgrounds, so we were not able to print those out decently without a color printer. However, the remaining black and white ones, and the ones with just small amounts of color on them still made this e-book worth getting. We just added our own color with felt tip markers or crayons before cutting. I recommend printing on thin cardstock or thick paper for best results. Scissor cutting activities with a difference! These activities are also good for visual and spatial perception skills! In this e-book, kids get to cut out their own tangram pieces and then arrange them to build the tangram pictures. What is special is the texture/color/interest that has been added to each tangram picture, so the end result is attractive. Your child basically just needs to cut on straight lines to cut out the various shapes, but the lines are quite thin and the shapes are not large, so it is a bit too advanced for a total beginner. There are 10 tangrams to build, and each has 3 levels of difficulty. I made a compilation image above to show you the 4 full sized pages that you would cut out for the whale tangram. First, there is the colored tangram which needs to be cut out. Then there is a blank background (with just the waves) which is the hardest option - the child needs to build the whale with no outline. Then there is an outline of the whale, which is a bit easier, as the child can try and fit the tangram pieces into the space (spatial perception). The easiest option is the last one, where the outline of each shape in the whale is shown, and the child just has to match the shapes (visual discrimination and position in space skills). Printing: I would recommend color printing to make the most of the beautiful pictures you can create. However, you can make do with black and white, as I did. We don't have a color printer at home, so I printed the background with the outline on blue paper, and the whale on white paper (it came out grey, which was cool) and the end result is still attractive. Most, but not all, of the tangrams could be done in black and white in this way. Cut And Fold - My Top Pick! This is an awesome resource for rainy vacation days! My kids thoroughly enjoyed doing these scissor cutting activities on our own rainy vacation! I would recommend this for kindergarten or first grade and up (depending on your child's cutting skills) - younger kids will also need some help to fold accurately. Just make enough copies for ALL the kids in your family, as they might all want to make every craft (there are 15)! Many of the activities are still "cool enough" to appeal to an older child (eg third to fifth grader) who needs to practice cutting neatly. Most of the activities have both a color and a black/white version, which I totally appreciate for my black/white printer. Fun for your kids to add their own color before cutting out. I recommend printing on thin cardstock or thick paper for best results - with the exception of the jet plane and the stationery pages, which do nicely with regular thickness paper. If you plan to use this on a vacation, just be sure to pack paste/glue and some sticky tape to help put them together. A lovely scissor cutting resource for older kids! Kirigami is the art of cutting and folding paper and these simple activities are great for kids. If you are looking for ways to motivate an older child (say 3rd grade and up) to work on cutting more carefully, and to work at cutting neatly on lines, then these kirigami scissor cutting activities may do the trick! There are 5 different types of kirigami activities (from paper chains that work without staples or tape, to animals). Each type of activity has a range of different designs for your child to choose from (eg there are 6 different animals to cut out). There are also a few "design your own" options. Printed black/white on color paper. Some of what we were able to do without a color printer. These are mostly full color pictures as you can see from the cover photo, which is tricky if you don't have a color printer, like me! Some of the pictures can be printed in black and white on color paper, and turned over to the plain side for display. (as you can see above). We added some color with crayons and felt tip before cutting. However, a lot of the large color pages (especially the animals) don't come out as nicely in black and white, which is a pity! Scissor Cutting Activities Bundle Deal! 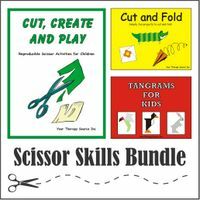 This fun bundle will help children work on their scissor cutting skills with a variety of different, creative activities.Once purchased, you can reprint the resources as often as you need to, for use with your family, class or therapy clients. An effective 30% discount on individual titles! 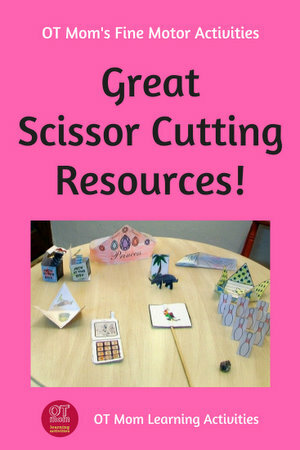 This page was all about resources you can buy to help your child master scissor cutting. But what if your child struggles to cut with scissors? Then head over to these other pages on my site to find out how to help your child. Thank you for visiting! I hope you found these resources as helpful as I did!